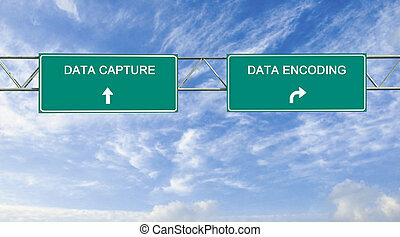 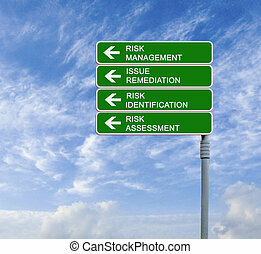 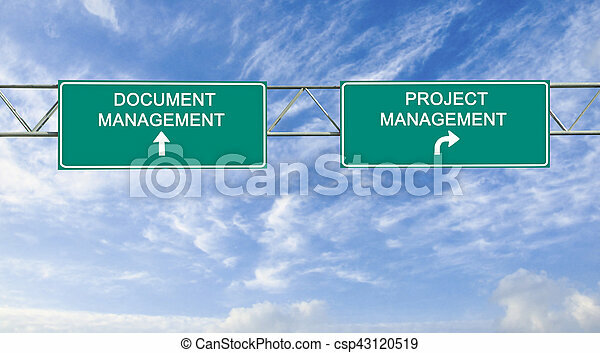 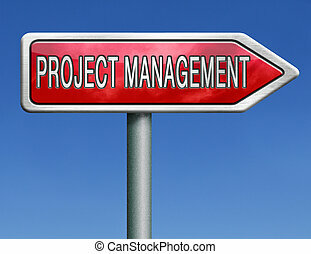 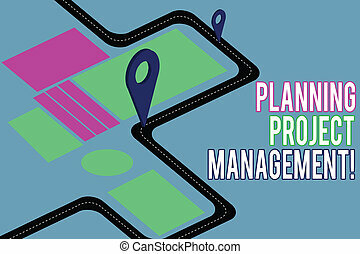 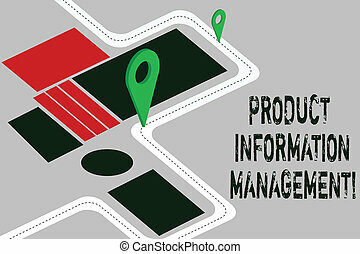 Direction road to project management. 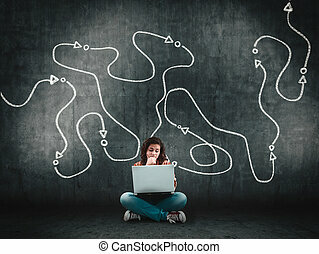 Thoughful teenager using laptop next to a wall with drawing of a path. 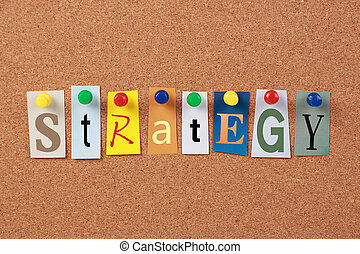 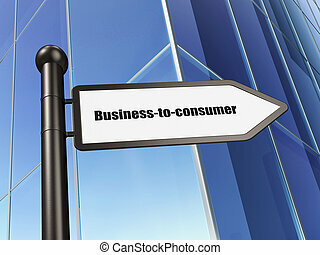 The word Strategy in cut out magazine letters pinned to a corkboard.